Chiropractic care is more than just making pain disappear. It is about learning, understanding, and taking care of your body to improve your quality of life. We aim to educate our patients about chiropractic and other solutions to common health problems to motivate them to take more active and responsible steps towards restoring and maintaining their health, as well as the health of their family and loved ones. As chiropractors, we understand that although a diagnosis may indicate the problem, the appropriate treatment varies with each patient. That is why we take a personalized approach to the care and treatment of every single patient that comes to us for help. Dr. Alex Ayzenshteyn received his B.S. in Biology from the University of Illinois in Chicago. He went on to earn a Doctorate of Chiropractic from Palmer College of Chiropractic. 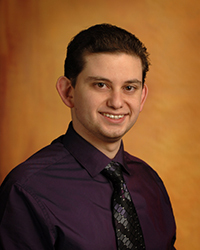 Dr. Ayzenshteyn routinely attends seminars and continuing education courses, staying current with the forefront of chiropractic care and techniques. S&A Chiropractic’s mission is to provide our patients with the highest quality chiropractic treatment in a relaxed atmosphere. Our patient’s care is personalized and Dr. Ayzenshteyn places patient comfort above all else. Chiropractic care is a sensible alternative to traditional medication and surgical remedies. We are here to help you determine which course of treatment is right for you. 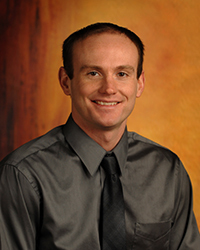 Dr. Josh Stevens grew up in Forreston, Illinois; a small community in northwestern Illinois. There, he learned the small town values that he uses in his own life today. His love for helping people led him to the field of healthcare. Dr. Stevens earned his B.S. in Biology and Chemistry while attending Northern Illinois University in Dekalb. From there, he attended Palmer College of Chiropractic in Davenport, Iowa, and graduated with a doctorate of chiropractic degree. After graduating, Dr. Stevens took a position in Evanston as an associate and worked with another chiropractic physician treating a diverse patient population around the Chicago suburban area. Dr. Stevens is committed to delivering the best possible care to each and every patient that walks into his office. Aches and pains are signs that your body is not working correctly. Physical, chemical and emotional stress produces a defensive posture, which locks spinal joints pinching and irritating nearby nerves. This can cause neck pain, headaches, back pain and many other health conditions. A thorough examination helps chiropractors find these subluxations. We apply chiropractic spinal adjustments and other procedures to correct these problems and let the body heal itself. Immediate pain relief is often possible, but overall health usually returns as repeated visits restore nervous system integrity. That is why chiropractic care has helped millions get well and stay well.